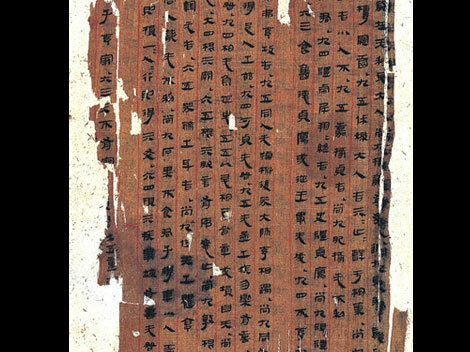 I Ching is a cleromancy divination method, just like rune casting is another, but unique in itself as it is a complex method of sequential casting meant to create a combination of binary codes (the I Ching Lines) resulting in a Hexagram leading us to a prediction in the Book of Changes - the oldest known Chinese canonical manuscript, dating from 10th-4th centuries BC (the exact time of its creation is yet unknown). The Book of Changes is a major reference for Taoism, Confucianism and Yin/Yang cosmology. 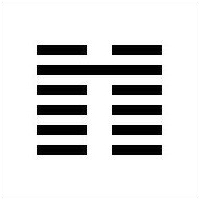 Each Hexagram corresponds to a cryptic, enigmatic text and its interpretation, applied to the specifics of the question, is a skill in itself, intuition playing a large part in how we apply the prediction, advice and wisdom to a modern context. The Lines with my method are generally a little story of how the query evolves (past/present/future depending on the context) and the Hexagram itself is the answer/outcome. 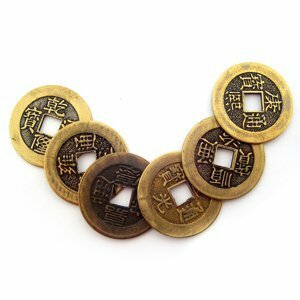 I use original Chinese I Ching coins to cast the Hexagrams manually and a method of casting 1-2 Hexagrams in order to get a comprehensive view of the possible evolution of each question. Below you can see an example of the original text format in the Book of Changes for Hexagram Pi (8). Truth, like a full earthen bowl"